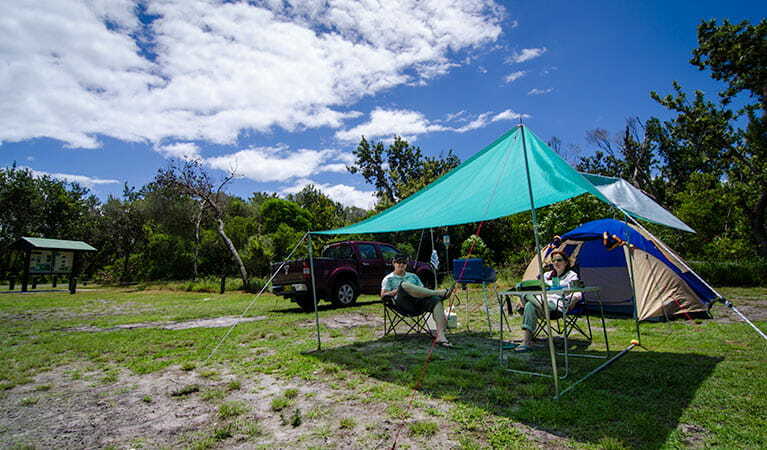 Take the caravan and family to Banksia Green campground for beach fishing, swimming and walking near Bombah Broadwater, in Myall Lakes National Park. 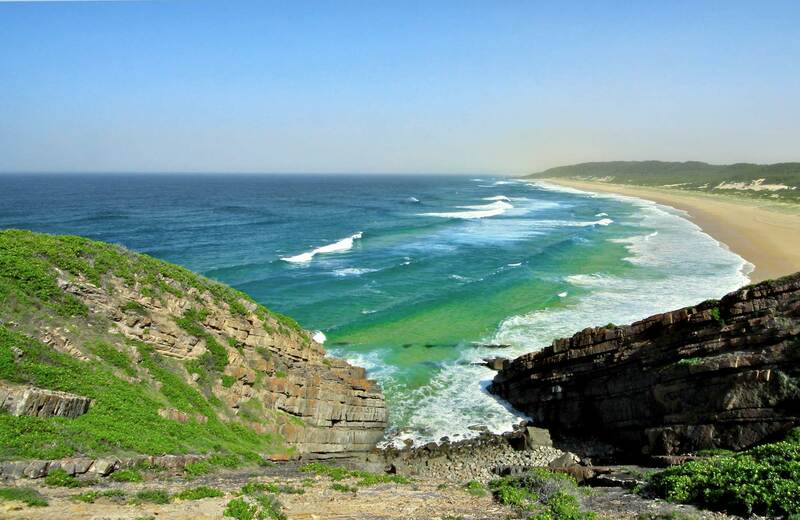 Peak (NSW school holidays, December, January, and public holiday long weekends): $12 per adult per night. $6 per child per night. Off-peak (all other times): $8.50 per adult per night. $4 per child per night. Bookings are not available for this campground, and will continue to operate on a first come, first served basis. Water is not available at this campground, so you'll need to bring your own supply for cooking and drinking. Banksia Green is a paradise for beach goers and lake lovers alike. 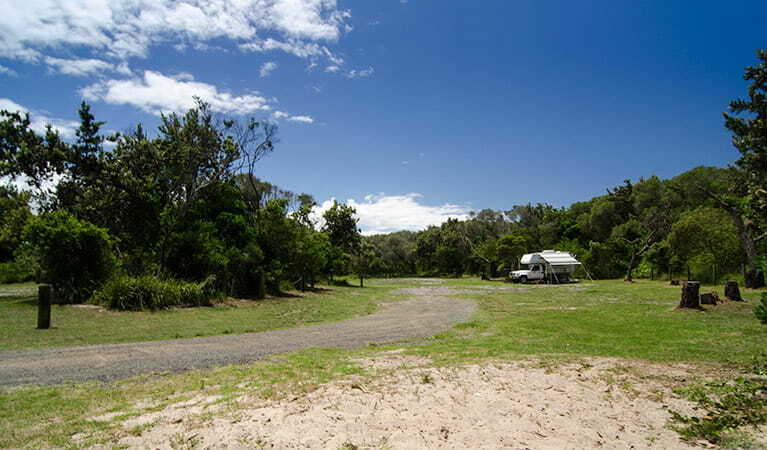 Nestled behind the dunes in the southern section of Myall Lakes National Park, it’s a great spot for a family holiday. There’s plenty of space for caravans and camper trailers so you don’t have to do without your creature comforts. 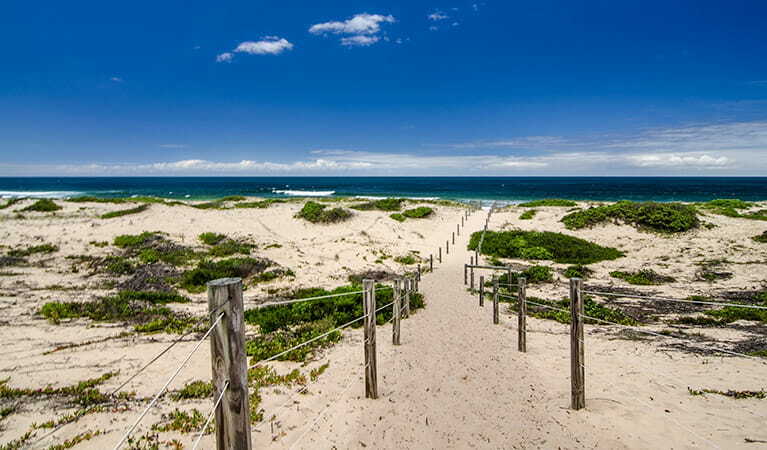 Don’t forget your swimmers and the fishing gear, as it’s only a short walk to the beach. If the surf is too rough, head in the other direction for the peaceful foreshores of Bombah Broadwater. If you enjoy a bush walk, step out on Mungo Brush Rainforest loop and Tamboi walking track. As the shadows lengthen, stoke up the fire, barbecue the catch of the day over the flames and tuck into a feast. Settle in under the stars and be gently soothed to sleep by the sound of the waves. Myall Lakes National Park is always open but may have to close at times due to poor weather or fire danger. $8 per vehicle per day. The park has coin/card operated pay and display machines at Mungo Brush campground. NPWS visitor service officers regularly visit camping areas to collect fees from campers and sell annual passes. Day passes and annual passes also available from the Great Lakes Area Office, Bulahdelah and Tea Gardens Visitor Information Centres, and other local outlets. Bombah Point ferry fees may also apply (cash payment only).